Chef Jose Garces outside U.S. Bankruptcy Court in Camden on May 23, 2018. 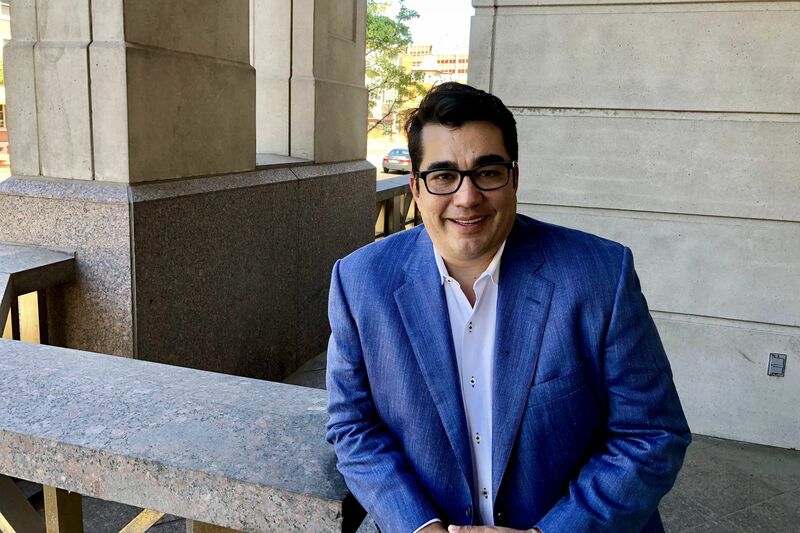 The sale of most of Jose Garces' restaurant empire was approved Tuesday in U.S. Bankruptcy Court in Camden for about $8 million in cash and assumed liabilities. As part of the sale, a new entity — 3BM1, a partnership between Louisiana-based Ballard Brands and local investor David Maser — will assume control of Amada, Tinto, Village Whiskey, the Olde Bar, JG Domestic, Volvér, and Garces Events. It also will control management contracts that operate Olón and Okatshe in the Tropicana in Atlantic City, Amada and Distrito in Ocean Resort in Atlantic City, CHUBB Conference Center in Lafayette Hill, and Ortzi in New York City. Distrito in University City and Buena Onda, not affected by the bankruptcy, will remain open but will not be operated by 3BM1. Garces' management of 24 Wood-Fired Grill, 2401 Walnut St., will end after service on Saturday as the company looks to relocate its corporate headquarters and test kitchen. Garces Trading Co. at 1111 Locust St., not subject to the sale, will close after its brunch service on Sunday after nearly 10 years at its location in Midtown Village. Employees at both locations will be offered positions at other Garces-run restaurants. Garces recently closed Distrito in Moorestown. Garces himself — who burst onto the Philadelphia restaurant scene in 2005 with Amada — will remain with the new entity as its chief culinary officer, the company said in a statement. Customers can expect no change at the remaining restaurants and catered events, it said. Ronnie Artigues, general counsel of Ballard Brands, has been named chief executive of the new partnership. Facing financial problems, Garces sought bankruptcy protection over the objections of his earliest investors, who accused the chef of using profits from the successful restaurants Amada, Village Whiskey, and Tinto to prop up the rest of the empire. But after weeks of hearings, Bankruptcy Judge Jerrold N. Poslusny Jr. allowed the sale to proceed. Garces personally added $500,000 cash to help clinch the deal and to remove a bank lien from his personal home and farm. Two investor groups have litigation pending against Garces. Attorneys for the investors did not immediately return messages seeking comment.